CALL US NOW 3026893489 GET IN TOUCH NOW! Breakfast is always said to be the most important meal of the day, but for a lot of our clients it's the hardest! They don't have time to cook every single day and make sure that they are getting a good amount of protein in. 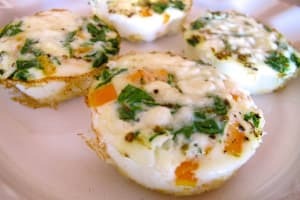 That's where these delicious egg bites come in! Substituting egg whites for whole eggs cuts down the saturated fat, which makes it easier for you to reach your goals. This recipe is easy and only takes about 15 minutes to bake! cook for 15 minutes, let cook and enjoy! 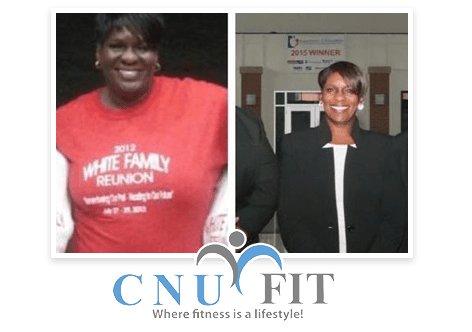 I have been going to CNU fit since Feb 2017.. . I have lost 40lbs. .. 2 shirts size and 3 pant sizes.... Amazing results. . I am 53yo... Never stepped foot in gym. They made me feel welcome and part of a family.. Everyone is encouraging. . The coaches are just always upbeat and ready to help you achieve your goals. I also participate in metabolic coaching. Now I am eating health food and my energy levels are thru the roof!. .. Don't try it on your own. . You owe it to yourself to go to CNU FIT! ..
She has lost 34 pounds, 19 INCHES, AND 12% BODY FAT. Her WEIGHT IS THE LOWEST IT HAS BEEN FOR 21 YEARS and is a level 3 out of 8 in our group strength training program. Teddi had been struggling with her weight for many years, she even had the lap-band surgery in an attempt to lose weight. She thought it was a quick fix, but she didn’t get the results she thought she would, and although Teddi changed her body with surgery, she failed to change her lifestyle.